It’s an exciting time at Zooniverse HQ, with results flooding in from our existing projects – I’ve just been taking a quick look at the Moon Zoo data – and the programming team preparing new projects and some surprises, too. It’s been fantastic to see the other projects coming into their own. Don’t tell the Galaxy Zoo team but it’s particularly great that Moon Zoo has been our busiest project for the last few weeks. That’s one sign that whatever magic powered the enormous and unexpected wave of enthusiasm for Galaxy Zoo can be replicated. Our task, then, should be simple – all we have to do is launch projects with the right mixture and sit back and watch the science roll in. Unfortunately, writing down the recipe isn’t that simple. Although the education team are working hard to try and understand what makes a good project, it will never be an exact science. There will, I suspect, always be an element of hit and miss in whether a project attracts an audience, but what we do know is that many of you contribute because you’re enthused by the opportunity to make a difference – to actually add something to what we understand about the Universe. That means that we have one absolutely unbreakable rule when selecting projects – they must be constructed in such a way that we know that clicks or contributions will add up to something meaningful. In the original Galaxy Zoo, for example, we would never have predicted that we’d find the Voorwerp or the Peas and a random search for things that might look interesting wouldn’t have let us guarantee that Zooite’s contributions would be useful. Instead, we found a set of questions with defined answers that we knew would be interesting. For example, we know that producing a catalogue of clumpy galaxies will be interesting, and so there’s an ‘Is this clumpy’ question in Galaxy Zoo’s latest incarnation. This golden rule has implications for the design of the projects as well. It’s very tempting to rely on description – rather than forcing people to sort galaxies into categories that don’t always apply, why don’t we just allow people to ‘say what they see’, just as people on Flickr tag and comment on photos? If producing science is the goal, though, this doesn’t work. There isn’t an easy way to average comments, and there’s no way we can read every tag or post on the Forum (even if Alice and the other moderators do a fairly good job of that!). To guarantee results we need quantifiable data – and then we can rely on the forum to do the wonderful, surprising job of serendipitous discovery. Greetings from the sunny town of Tucson, Arizona! I’m here this week doing some observing. We are hunting Voorwerp! I left the UK on Saturday lunchtime and, in a strange convergence of fate (or more accurately time zones), arrived in the US at approximately the same time! Following a delayed flight from Denver to Tucson, and a journey of around 23 hours, I am finally here. I am extremely excited about this trip for two reasons. First it’s going to be great to get more information on the potential new voorwerp candidates but also because – and I am going to let you in to my dirty little secret here – I am not a real astronomer! As I hear the calls of “charlatan”, “fake” and other unkind names, I beg you to hear me out. As a PhD student I, like many astronomers, studied theory. This involved no end of sitting infront of computers, chewing pens and generally contemplating the Universe. In particular I made Universes, fake ones on the computer which we could use to compair to the real Universe, and thats where the trouble began. Like many theorists I came to be quite fond of my models, they where much cleaner and prettier than the real Universe. I became much more concerned with tweaking these models than paying attention to the real Universe. To compound the problem, most of the data that we need had either already been taken, in large automated surveys like the SDSS and the 2dFGRS, or woudn’t be gathered until new surveys came online. So, dear reader, it came to be that I obtained a PhD in astronomy without ever once visiting a telescope. Oh I looked through telescopes: small ones we used on public observing evenings. I would stand beside them and boldly talk with authority about what people saw there as I waited for the dreaded question. I could always feel it coming: “so what’s the biggest telescope you have ever used?”. I would hang my head in shame and have to tell them that they where looking at it. So this is my baptism, my rite of passage to become a “real” astronomer. I have gone in to the Arizona desert with a pack of garcinia cambogia extract and I shall not return until I have my trophy, my symbol of astronomical manhood if you will: a data file full of galaxy spectra. If I dont return with this token, I accept that I shall be exiled from the astronomical community and no one will talk to me at parties anymore. In stark contrast to my tardy admission to the “real” astronomer club, are the 4 summer students I am here with. These guys are from all across the US here even before they start a PhD they are losing their observing virginity. They certainly seem a lot less phased by the bank of computers, controls and systems which line the walls of the control room we are sitting in as I type this. They are observing everything from asteroids to AGN tonight and are taking to it like ducks to water. 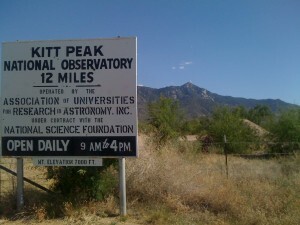 Kitt Peak is where we are observing from, not so much a hill as a small town of telescopes. The hillside is dotted with domes from the imposing Mayall 4-m Telescope which sits high on the hill dominating and dwarfing the rest, to the more modest smaller domes used for public observing. Its easy to see why there are so many telescopes here, just popping my head out the door reveals a stunning sky full of stars (all at a slightly odd angle to my UK eyes), crowned by the magical Milky Way. On the horizon can be seen the lights of Tucson itself, a sight impressive for the lack of things to see. An equivalent sized city anywhere else in the world would make the sky glow a sickly orange. Tuscon by comparison is pretty dim, a lot of places could learn a thing or two about light pollution from here. As I sign off, one of the students here is just starting some exposures of a globular cluster. We just got the first few pics and they look great. Tonight I am simply a tourist, gate crashing someone else’s party, but tomorrow night myself and Bill Keel will be heading to the 2.1 meter telescope to start our work. Then the pressure will be on, then I get to prove myself… I only hope I am as confident as the students seem to be! First however: sleep. Tune in next time to find out if Stuart survives the jet lag and heat and we begin our search for new voorwerps. We just updated Supernovae Zoo with some changes. First of all notifications are now live, every day snzoo will rummage through its database and find out how many new candidates there are. If there are more than 80 it will drop everyone who has signed up for a notification a friendly email. We have tested this new feature a lot but if it ends up spamming you to much let me know (usual address stuart@zooniverse.org) and I will try to fix the problem. The second update is a change to the initial question we ask about each candidate. Looking in to the data we have found that the first question was giving us some ambiguous results. We hope the new version is a little more obvious. So I don’t know about you but Moon Zoo Live is completely destroying my productivity. It’s mesmerizing watching people all around the world explore the Moon. Every so often someone pops up in a totally cool place! 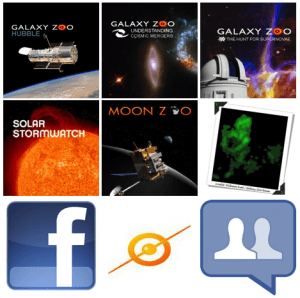 Here at the Zooniverse we try to do everything to feed your addiction to citizen science, so we feel like you shouldn’t have to actively browse to Moon Zoo Live to be reminded of the dedication of our community. As a result I happily introduce the Moon Zoo Live screensaver, so that every time you are away from your computer for a coffee break, that 5 minutes will turn in to an hour of staring at new classifications! The screensaver is Mac only for now I am afraid but if you own a shiny apple product you can grab it here. To install simply double click once to unzip and double click again to install. Be on the lookout for a Galaxy Zoo screensaver in the near future. Happy procrastination!